From corporate events and private celebrations to stylish wedding receptions and chic cocktail events, Mirra provides a unique industrial style and elegant backdrop for occasions up to 450 people cocktail style in the centre of the Fortitude Valley in Brisbane. Based in a converted warehouse with an intoxicating 'Paris Meets Shanghai' design, the Mirra venue features a 6m high apex ceiling that is beautifully covered in hand-painted canvasses, bamboo flooring and tiered chandeliers. 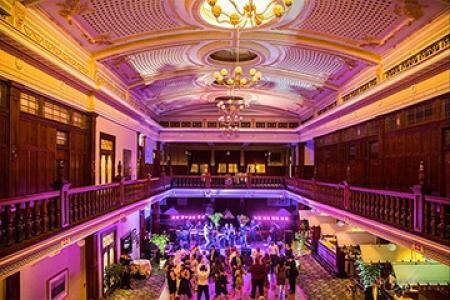 The Long Room is a versatile and vast event space that can be divided into areas to create a plethora of options for functions of all sizes. It features opulent carpeting, is fully air conditioned with an in-built dance floor area and detailed bold bronze French doors that open out on to an exclusive 200sqm courtyard area. The courtyard is an intimate space that accommodates up to 100 people with hanging rows of festoon lighting and alfresco seating that can be hired in conjunction with the Long Room. 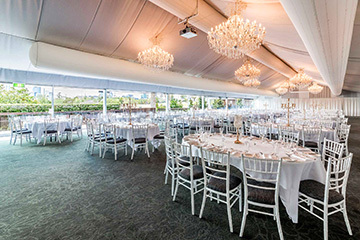 It is ideal for a wedding ceremony or reception, corporate function or private event. 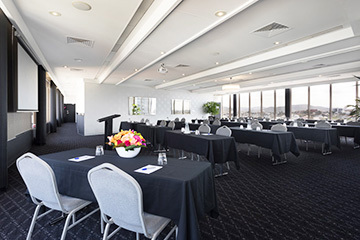 For corporate events, Mirra is a venue with a difference and unique alternative for a product launch, conference, meeting or presentation. Entertain your clients and shareholders, or wow your colleagues and business team as you host your corporate event in the delightful and inspiring surrounds of Mirra. Like to get a quote for your event? 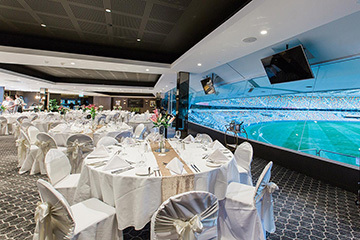 Simply complete the Venue Enquiry form and the Events Team at Mirra will respond to your request for availability and pricing.